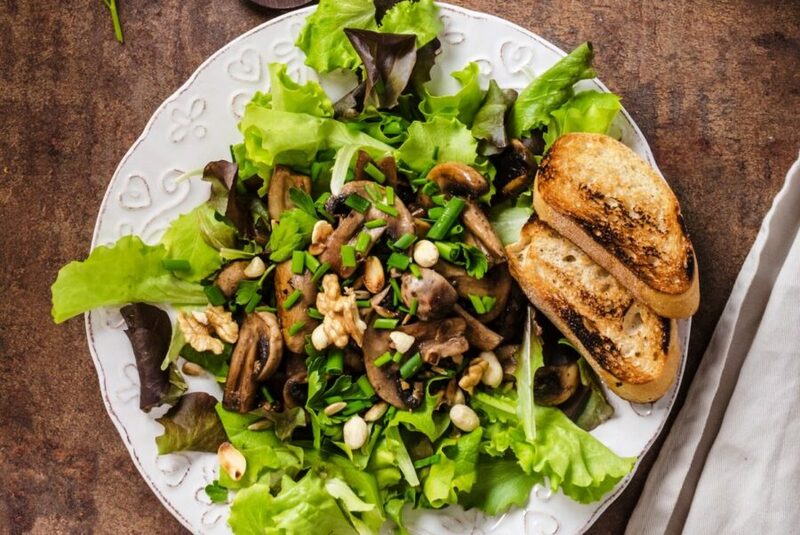 These sautéed shiitake mushrooms are a great addition to a meal, adding the healing benefits of these special mushrooms. They are a tasty topper for rice, millet or quinoa and only take about 15 minutes to make. Trim and discard any tough stems on the mushrooms. Bring the oil to medium-high heat in a large skillet and add the mushrooms. Stirring them frequently and cook for 8 to 10 minutes, until the mushrooms have released their juices and begin to brown. Now add herbs; stir in and season to taste. Shiitake Mushroom Salad with Walnuts is Very Tasty – This shiitake mushroom salad is extra delicious with the addition of walnuts. All the ingredients in this salad are healthy and so it is very good for you. Crispy Okra Is a Wonderful Tasty Vegetable For Your Meal – Fresh okra with a beautiful golden brown color and a crunchy texture is a special addition to any meal! Crispy okra is so yummy with a flavour that is amazing. Magnificent Mushroom Gravy – If you like mushrooms, you will love this mushroom gravy recipe! It is very good on bean or nut burgers.